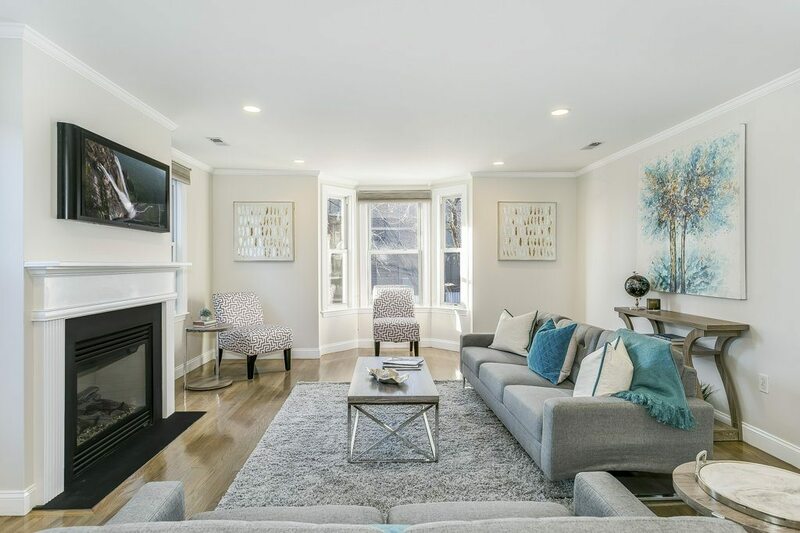 Striking Newly Updated 3 BR, 2.5 BA Penthouse Duplex! Outstanding Value with almost 1800SF! East to West Sunshine with 3 Exposures! Windows Everywhere! Sparkling New Designer Kitchen with Top of the Line SS Appliances, Subway Back splash Tile & Refinished White on White Cabinetry and Granite Counter tops! Huge Open Formal Livingroom with Gas Fireplace & flexible Open Diningroom! 3 Extra Large Bedrooms! Master BR with en suite bath with soaking tub & double vanity! Superior closet space in each BR! Guest BA with oversized walk in shower! Gleaming Newly refinished Hardwood Floors with custom blended stain throughout! New Full Sized in unit laundry! Easy access to large common courtyard for warm weather entertaining! Big deeded storage room! Lovely quiet side street offers easy on street parking moments away from all that Charlestown has to offer! Bus stop at your street corner and minutes to direct Orange line T stop & all major routes! Don’t miss this Amazing Single Family alternative!